The opening of the 30th Modern Olympic Games in London this past Friday was a spectacular event and despite the grumbling you might hear from some Londoners about the crowds and the traffic problems, I truly believe that they are loving it. The Olympic spirit is contagious; it doesn’t matter how far you are from ground zero, you find yourself tuning in at insane hours to watch your favorite sport or athlete compete live (unless you’re stuck watching the tape-delayed coverage on NBC). Your fever runs even hotter if you are in the host city during the games. I know this first hand. 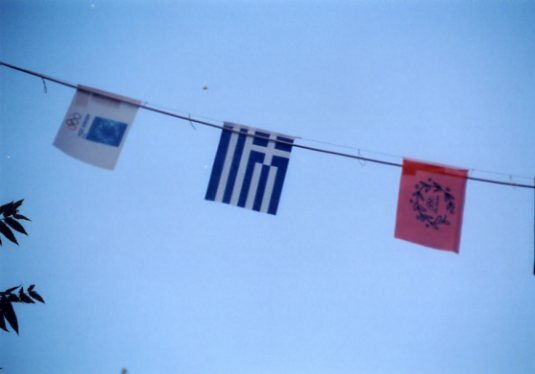 We spent the summer of 2004 in Greece on Andros Island, about two hours from Athens. I had the opportunity to travel into the city several times shuttling relatives between Andros and the airport. The city was alive; Athens became a contradiction. An old city, that often feels ancient, surrounded by and made up of ruins. It’s a place where you feel the weight of history all around you. You know you are walking around a grand old city. But it didn’t feel that way during the summer of 2004. 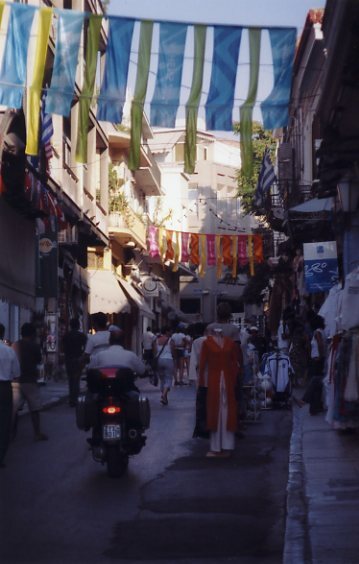 In the historic center of the city, the Plaka, colorful banners and pennants hung overhead bearing the mark of the Olympic rings. The visitors were visibly excited and the locals were filled with pride. The world was focused on what was new in Greece: the new airport, the infrastructure and venues. Greece is one of those places where you can hear new languages from people and lands you’ve never heard of or visited, the Olympics only magnified it. The host city is the center of the world for two weeks and it’s not because of its economic power or military might; it’s because of its willingness to welcome everyone with open arms. If the opportunity was there I’d throw myself in the city of London’s open arms. The chance to feel that excitement, that welcome, that infectious feeling of vigor is worth a trip at least once in your life. I know some may say you should avoid an Olympic city; it’s crowded, it’s congested, it’s filled with hype and price gouging. But I say even so you need to put it on a bucket list, but don’t wait too long because it’s a great memory to have and share for the rest of your life.